The 2016 UK Search Awards is already on track to be our most exciting yet – and there are still 2 weeks to go until the entry deadline! For those of you busy preparing your entries, ready to dominate in 2016 – we wanted to give you a little sneak preview of what’s in store if you walk away an award winner – and we don’t just mean the next day’s hangover! 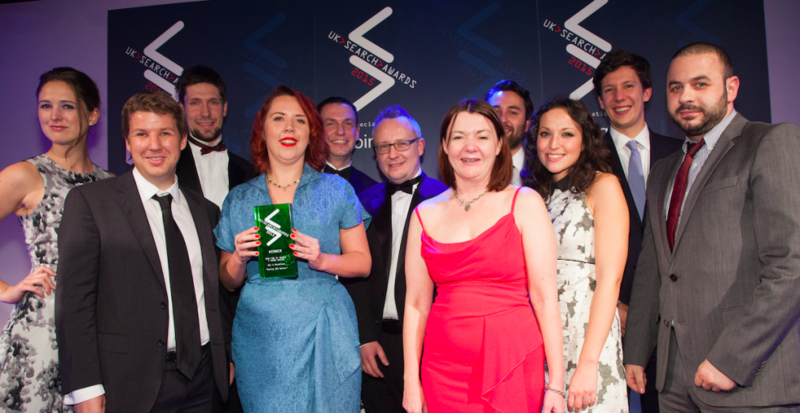 Last year’s winners of Best Use of Search – Third Sector, BlueGlass are a fantastic agency based in London, whose pro-active team consistently get great results for their clients. We spoke to Founder and MD Kevin Gibbons to get his thoughts on the Search Awards, his highlights and what you can expect if you walk away a winner in 2016! Don’t miss this year’s Search Awards – catapult your team into the search stratosphere with an entry! The 2016 Search Awards are now in their 7th year, and hold an unparalleled reputation for robust judging, and entries of exceptional quality. The awards are the mark of excellence industry-wide, and offer a huge amount of prestige to the worthy winners. There are 28 categories celebrating all aspects of the Search industry – meaning there is a place for everyone at the awards. There are 2 weeks until entries for 2016 close, which leaves you with more than enough time to get involved in the glamour – join us for a celebratory evening of wining, dining and comedy from legend Jason Manford! Whether you’re soaring in SEO, or you have perfected your PPC best practice – make sure you enter for this year’s awards. For any questions about the process or the evening itself, get in touch with joe@dontpanicprojects.com, or 01706 828855, and follow us on Twitter for the latest live updates and industry news!